Henry was born and raised in Rarotonga, Cook Islands before relocating to New Zealand to pursue his tertiary studies, graduating with a Bachelor of Law and a Bachelor of Science. He is currently an Associate at Rice Craig Lawyers in South Auckland. He is married with four young children, and feels very blessed to have their continuing love and support for all that he does. Henry joined the Trust initially as a volunteer over 7 years ago before joining the Board of Trustees in 2012. He has now been the Chairman for the past 4 years. Henry’s primary focus is a united and prosperous Cook Islands community and is committed to achieving this. For over 10 years, Henry has worked predominantly as a Lawyer in Auckland. He has held previous governance roles in other South Auckland not-for-profit organisations. Outside of work and community commitments, having a young family Henry’s spare time is consumed by family activities and events. Rev. Mata Tumu-Makara is married to Tabitha Makara, together they have four teenagers. He has been involved in variety of Christian Ministries, and is currently the Pastor of the PGM Christchurch Church in Ponsonby Auckland for the last 12 years. He has a Bachelor and a Masters’ Degree in Theology from the Bible College of NZ/ Laidlaw College with a research focus on the missionary period of the church in the Cook Islands. Mata is a church leader with a special interest of discovering our true Pacific identity in Christ and our unique cultures. He is excited to be involved in an organization that unite and prosper people and especially Cook Islanders. empowering the Cook Islands community to be more self-sufficient. Naomi was traditionally raised by her maternal grandmother on the beautiful island of Aitutaki. She is proud of her Mauke/Aitutaki/Rarotonga/Vaka Takitumu heritage, and has a strong background in Cook Islands Culture and Language. She is passionate about Cook Islands cultural dance and has performed Cook Islands dances across many stages and wears her culture proudly. She has been closely involved in the development of CIDANZ, including being the Project Lead for OneMARKET in the 2013 Akirata Ou Festival, to now sitting on the board as a Trustee. An advocate for strong Cook Islands women. Naomi is also the Secretary for Miss Cook Islands NZ Trust that focuses on empowering young Cook Islands women. She was also a Judge at the Miss Pacific Islands Pageant in Apia, Western Samoa in 2016. Naomi has worked primarily in the Social Services Sector for the NZ Government to pursue the safety and well-being of Children & Young People, working alongside professionals from Police, Health and Education to deliver the reliable and consistent response to child protection matters in the community. In her spare time, Naomi enjoys interior decorating, gardening and designing a collection of one-off garments. Family Lawyer at Complete Legal Ltd.
Lena has been on the Board of Trustees since May 2016. She is of Cook Islands, Tahitian and Fijian descent but was raised in Vaka Takitumu in Rarotonga. Her grandfather was the late Teariki Framhein of Mauke/Atiu and her late grandmother was Mereana Monga Framhein of Rarotonga. Lena attended Nikao Maori Primary, Avatea Primary and then Nukutere College before moving to New Zealand to attend College and then University. Lena is currently a practicing lawyer in South Auckland and specializes in Family Law. Lena has previous work experience with both the Cook Islands Government and various New Zealand govt. 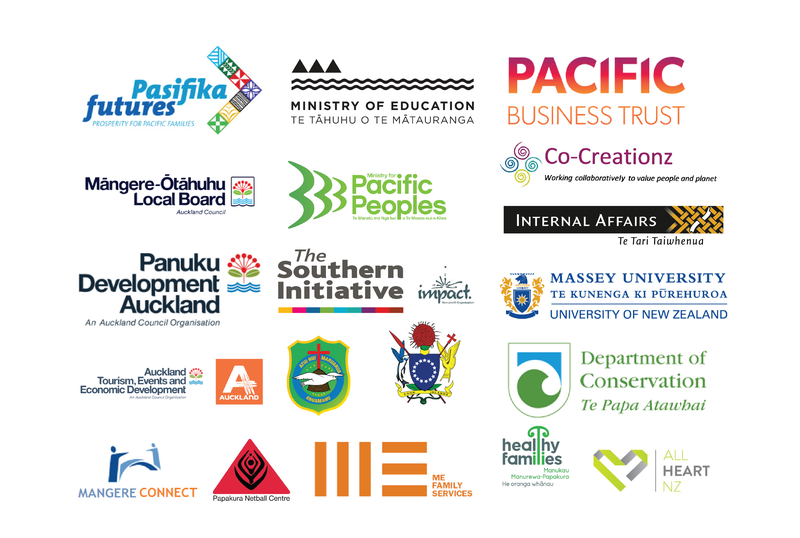 ministries such as the Ministry of Pacific Island Peoples, Ministry of Justice, and the Ministry of Social Development. Lena is passionate about creating a prosperous Cook Islands community and supports the Trusts vision to combine the efforts of all Cook Islands people in New Zealand in one place. I was introduced to the Trust with the hopes and dreams of helping the Cook Islands community to contribute better to New Zealand society, now home to many of us. I’ve stayed on, now almost 10 years later because I believe in the vision of this place, that communities who work and cooperate their resources and knowledge together can prosper. I stay also because of the people who work here and the families who inspire me every day with their brilliant minds, their giving hearts and aspiration to do things differently to build their families future. My hope is for the Trust to be sustainable across all its community businesses, that our families are business confident and ready, and new and youthful leadership is at the helm of this Vaka to continue its journey to prosper our communities. As a young man growing up in Otara, my values were strengthened and shaped by my humble Cook Islands family, culture and music. It’s no coincidence that my love for my people brought me here to CIDANZ, purposeful in-fact. I’ve always wanted to be a part of this organisation, and believe that my life journey, skills developed, and capability have prepared me to sit at the decision-making table, where I can and have positively affected change in our communities. Just a little over a year in, and I find that working for this organisation has been rewarding on so many levels. It has taught me that when working with the community, you must humble yourself because it isn’t easy. If it were, I wouldn’t be here today. I am challenged daily to continue developing and growing because I can see how my work directly affects the lives of the families we work with. Besides the people in this organisation, working alongside families and watching their journey from when they first joined us, to now; their growth and ability to overcome challenging odds, is what keeps me here. In the future I hope to see more of our young people at the reigns of this organisation and at the forefront of Cook Islands development. I really encourage my peers, the young people of today, to step into these roles and help shape what our future could be in years to come. By taking the knowledge of our elders, their stories, memories and learnings from the past, and applying it to our knowledge of the present, together we can shape our future! I’ve always believed that my path to CIDANZ was pre-destined, as if a force greater than myself had guided me to these doorsteps. I was born in Aitutaki and came to New Zealand in 1998. As expected, I became immersed in Kiwi-culture and in a large way, lost a piece of my cultural identity. Being in this organisation has allowed me to regain some of that identity and at the same time, has opened my eyes to the challenges that our community face. Where before I had dreams of working for the United Nations, they have now been replaced with visions of a brighter future where our people are healthy and thriving culturally, spiritually, and economically in New Zealand. It has been five years since the first day I’d walked into this organisation, and since then I’ve gained a better understanding of myself and our people. I’ve stayed on because not only do I believe in the vision and values of this organisation, but because I feel that I owe it to my community to apply all that I’ve learned into the development of our people. I hope that when I do move on from this place, that it’ll come to be known by all as the home of our culture, and act as the catalyst that secures and gathers our people in one place. Kia Orana, I was born in the Beautiful Vaka Puaikura, of Rarotonga, to Kamo Tavitai of Arorangi and Moearoa Tarurongo of Areora Atiu (Te Ngati Ingaatu). I am always inspired by this land of ours, and the people who lead this organisation. With a group of community leaders, I started at the Ta’okotai’anga Charitable Trust in 1999; in 2001 the Trust was formerly established. The turning point of this place really came during 2008 with a newer generation coming through to pick up the work. Although we struggled back then, with steady, strong and smart leadership, we moved forward together, challenged by our community to create a strong home for Cook Islands development. As we continue to move forward, I’ve seen the organisation change to keep up with the demands of our people. Now with a younger team and help from those who’ve become our life-long friends, we’re achieving so much that back in 1999, had only been a dream. Today I’m still here because I believe in this organisation and continue to love this place and the people in it. I’m so proud to see that in New Zealand, our Cook Islands people have a place to call home. I love this place and hope that our CIDANZ and land continues to flourish. But most of all I look forward to when our oneVILLAGE and oneCHILD centre stands tall in this community, and with it I hope, our people too.